Manufacturing the items in traditional Erzgebirge style, the Graupner workshop brings together the old ways of the region lovingly nicknamed as “Christmas land” and contemporary design. 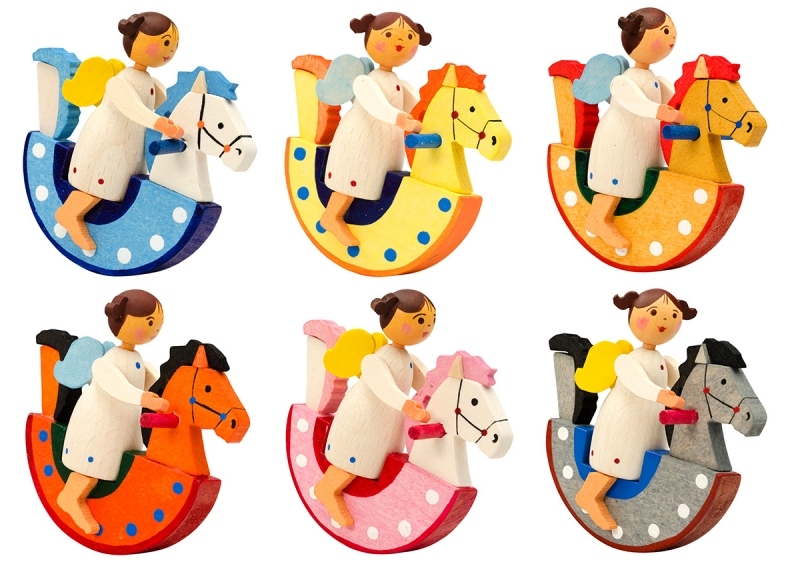 The interplay of natural wood and bright, inviting colours is one of the key features of their miniatures. Colour design is carried out and new ideas are formed in close co-operation with local Erzgebirge designer Katrin Baumann. 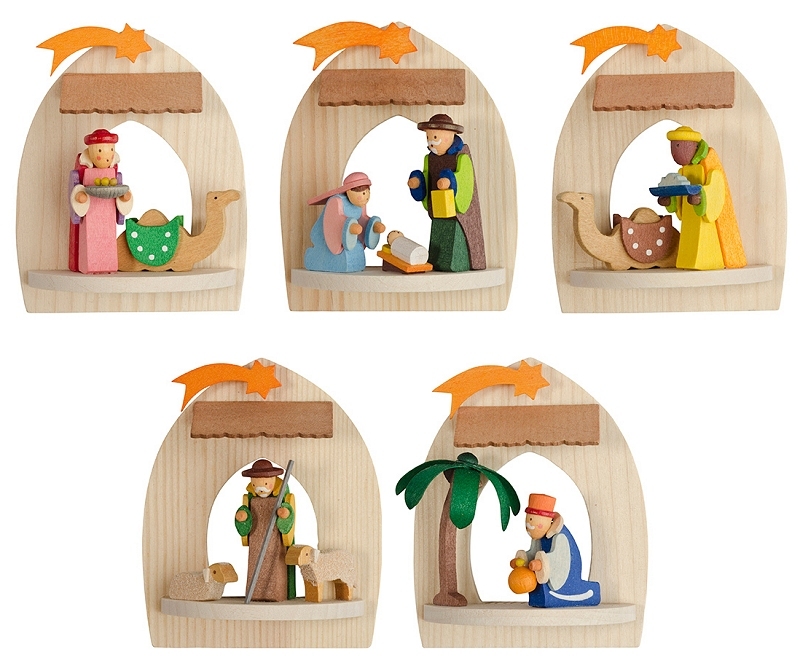 The result is what you see here a bright and colorful addition to your Christmas decor. 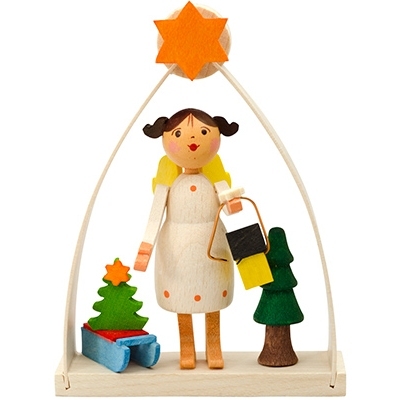 This beautiful wood ornament was handcrafted in Erzgebirge region of Germany. 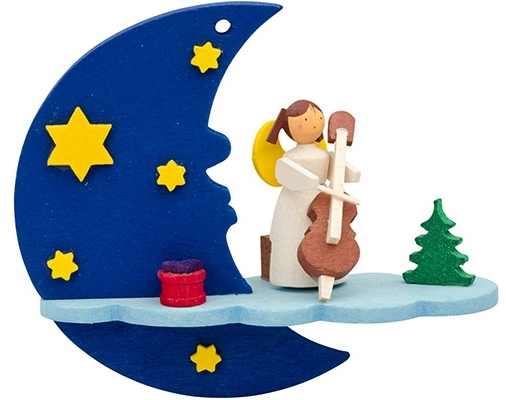 The detailed Christmas ornament features an angel with a cello. 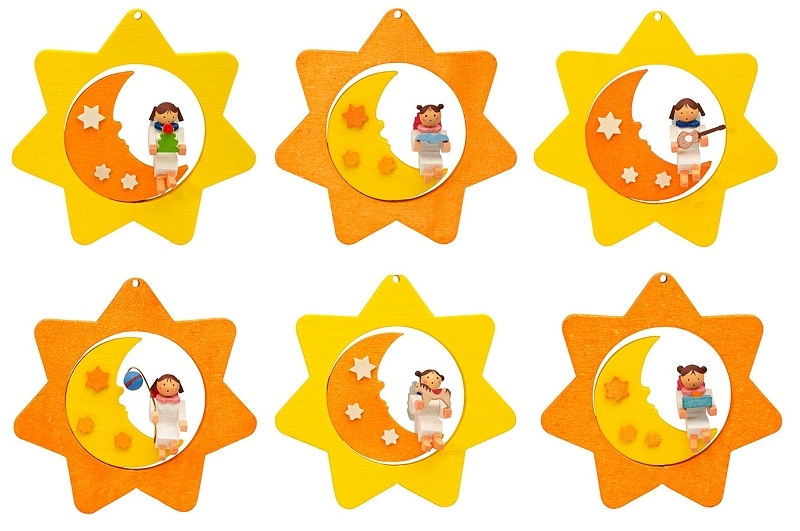 This new decoration is approximately 3.3 inches tall, 2.75 inches wide, and 1.1 inches deep. 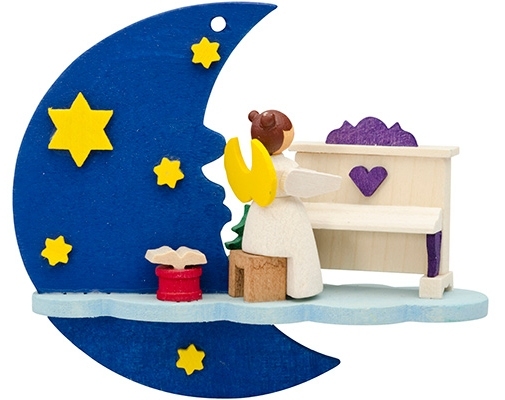 The detailed Christmas ornament features an angel with the piano. 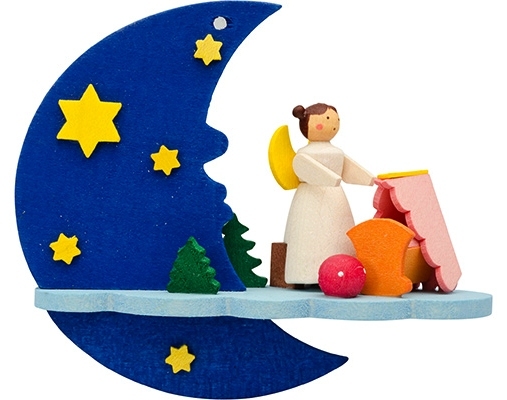 The detailed Christmas ornament features an angel with a lantern. Ornament Dimension: 2.25 H x 2.5 W x 1 D.
Dimension: 3.25 H x 2.62 W x 1.25 D.